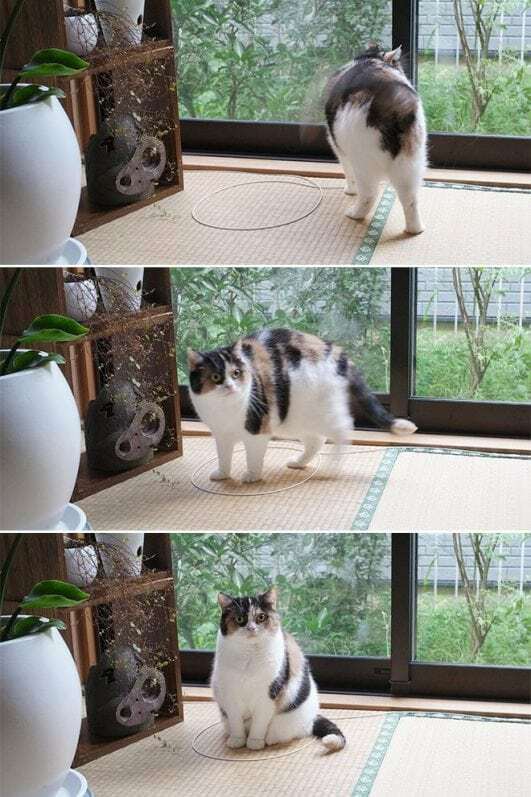 “Cat Circles”, according to the theory, cats find circles or similar shapes on the ground irresistible. 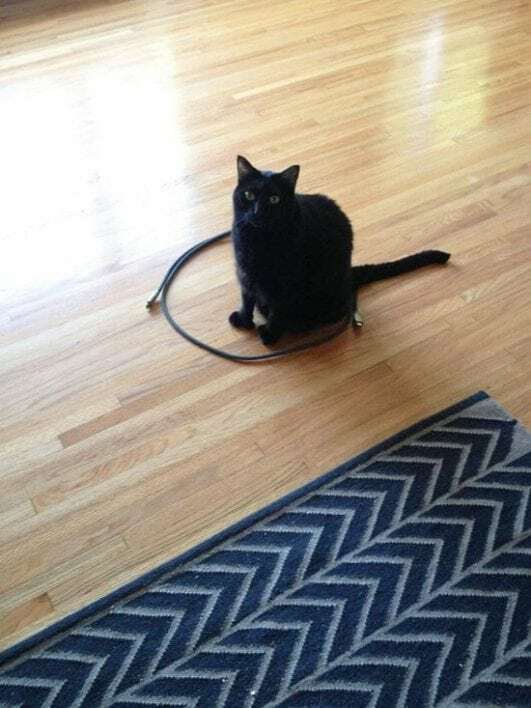 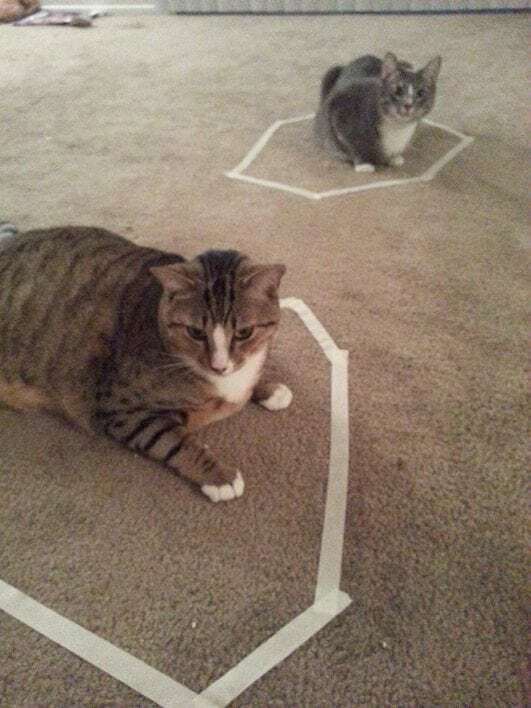 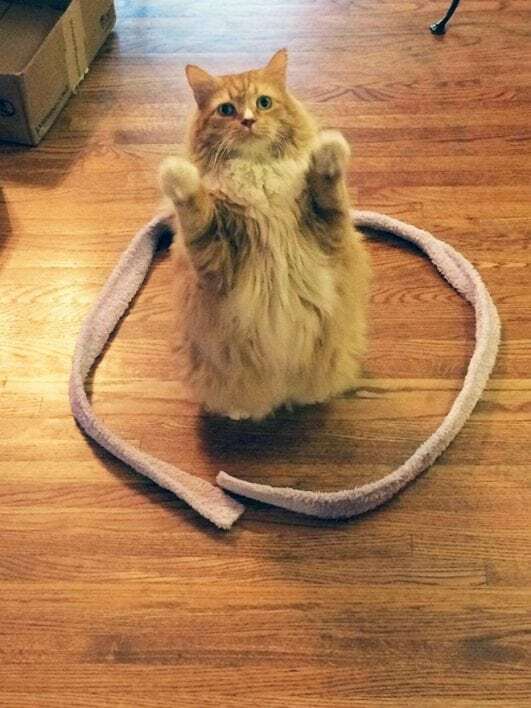 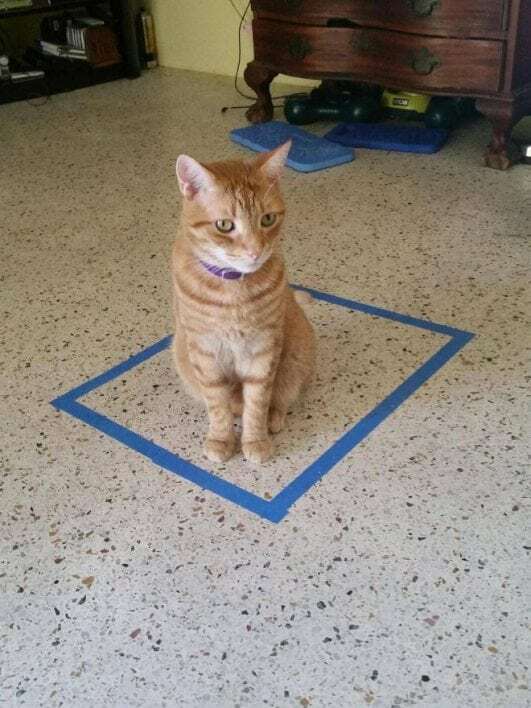 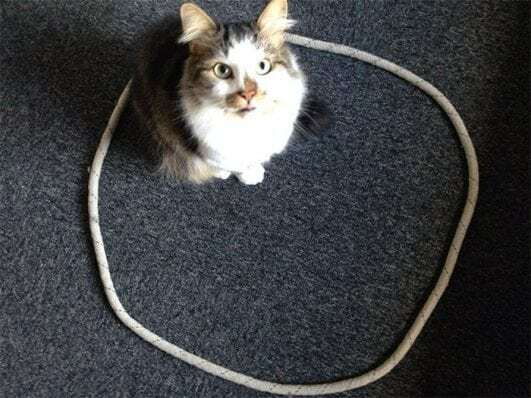 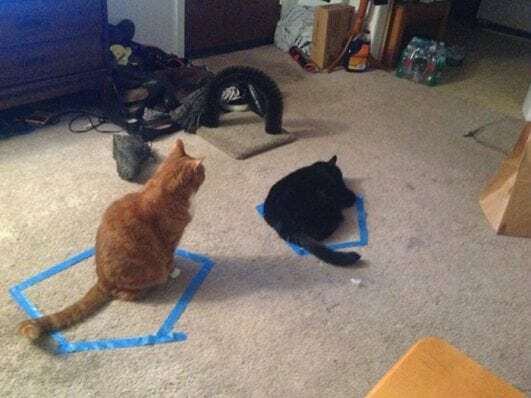 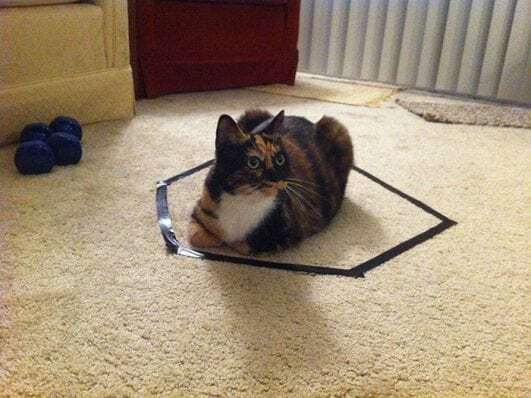 So if you mark one out — around 2ft across — using chalk, string, masking tape or flex, a cat will enter the circle and refuse to leave. 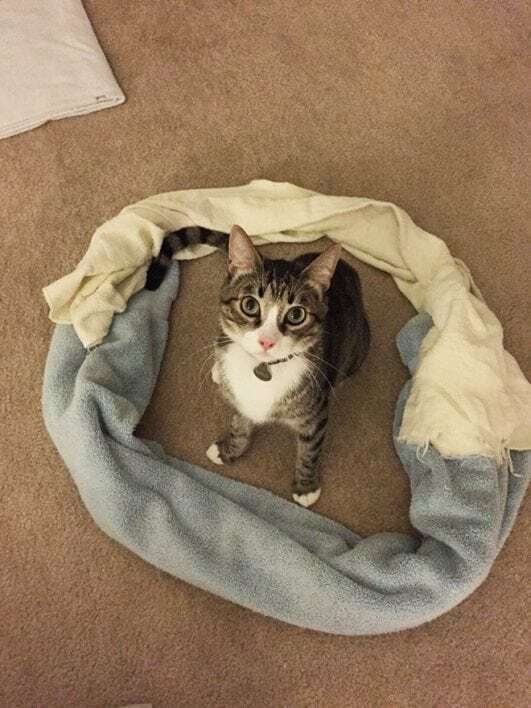 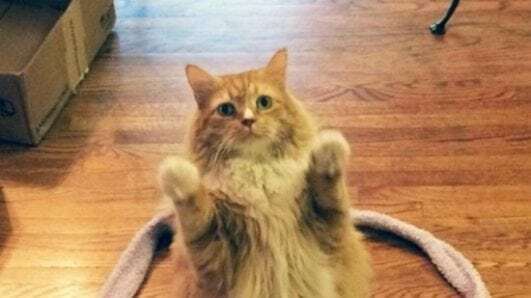 This may sound implausible, but dozens of photos and videos of cats ‘stuck’ in just such circles have sprung up in recent weeks on the internet. 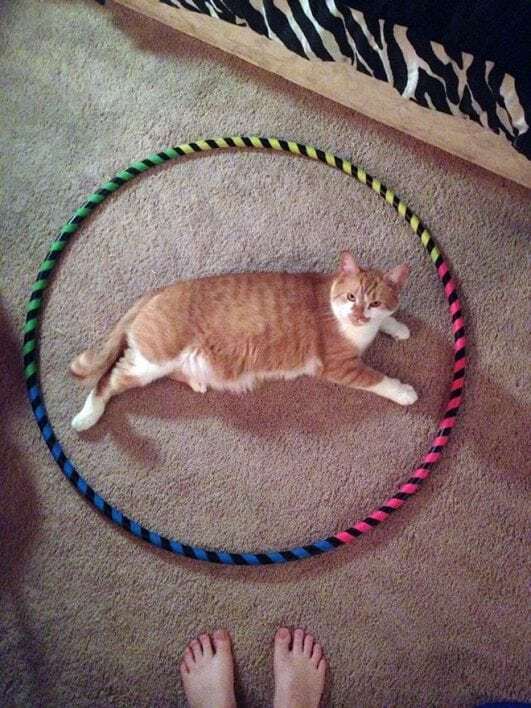 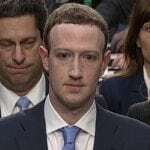 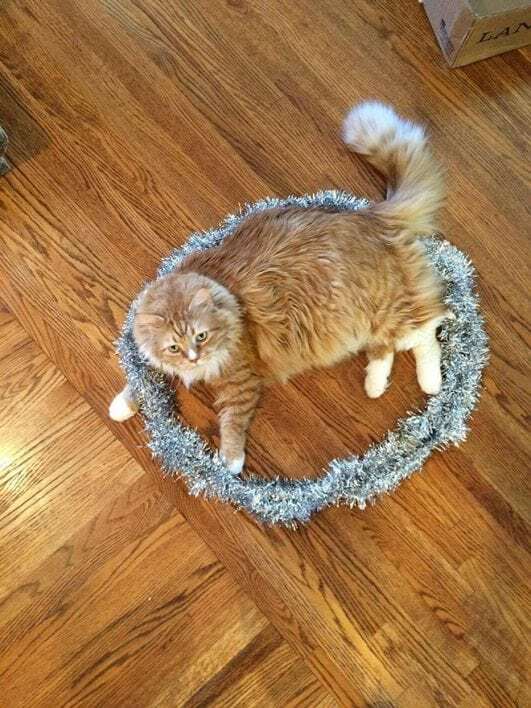 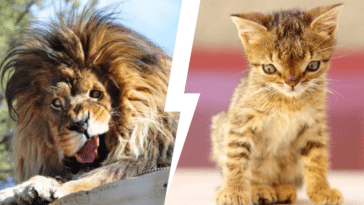 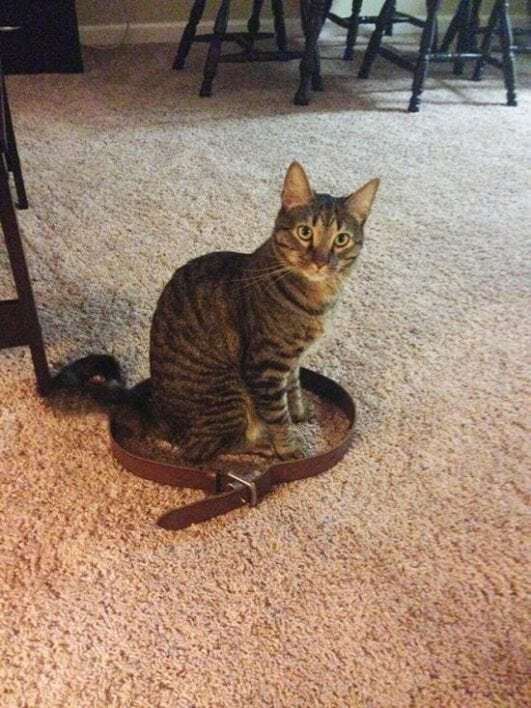 Some animal experts believe the cats will sit in a circle with a raised edge to give themselves a sense of security – much like cowering in a litter tray at the vet also internet users believe that a quirk of feline psychology means they will sit in circles because they identify it as new territory that requires protecting. 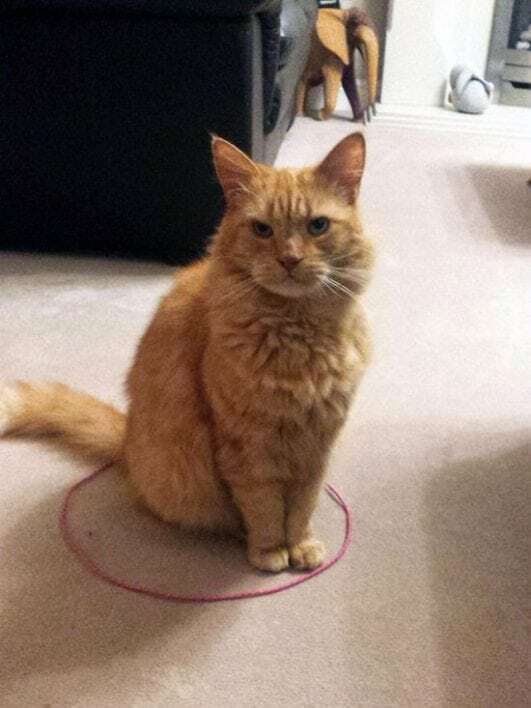 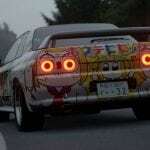 Cat in Cat Circles Cute Hu..